WOW! BEST VALUE IN WILDCAT RUN!!! 3, 700 SF WITH 6, 500 SF TOTAL. ARNOLD PALMER DESIGNED GOLF COURSE Signature Championship with 18-hole. GOLF MEMBERSHIP IS NOT MANDATORY! 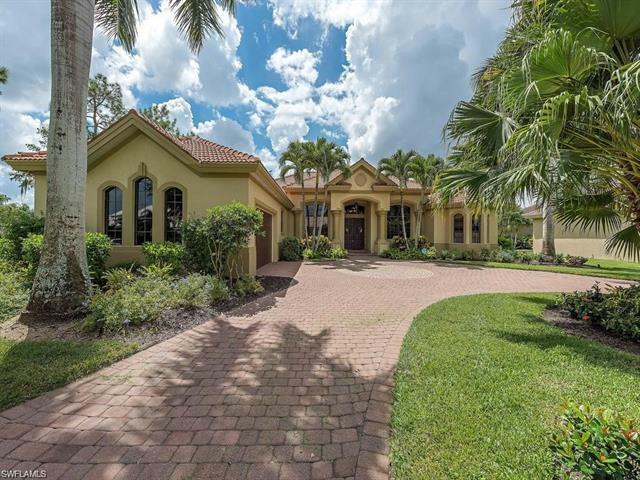 This custom built estate home was designed with love along with so many upgrades inside and out by the original owners.This beauty sits on more than a half an acre, VERY PRIVATE BACK YARD, manicured premium lot with HUGE golf course & lake views. HUGE POOL!!! There are formal living & dining rooms with tray ceilings. Large gourmet kitchen with beautiful granite countertops, walk-in pantry, custom tile backsplash, large center island & so much storage throughout. Family room has a built-in display/storage & custom entertainment center.The home was designed with floor to ceiling glass sliding doors. A custom built pool with spa was designed with a waterfall overflow feature all within an oversized pool area with paver patio.While your floating in your beautiful pool someone can grill steak on the outside built-in grill which also has outdoor storage by the pool.2018 NEW ROOF! Custom paver circular driveway. Wildcat Run has five Har-Tru tennis courts, staffed fitness center, casual & formal restaurants, & more.